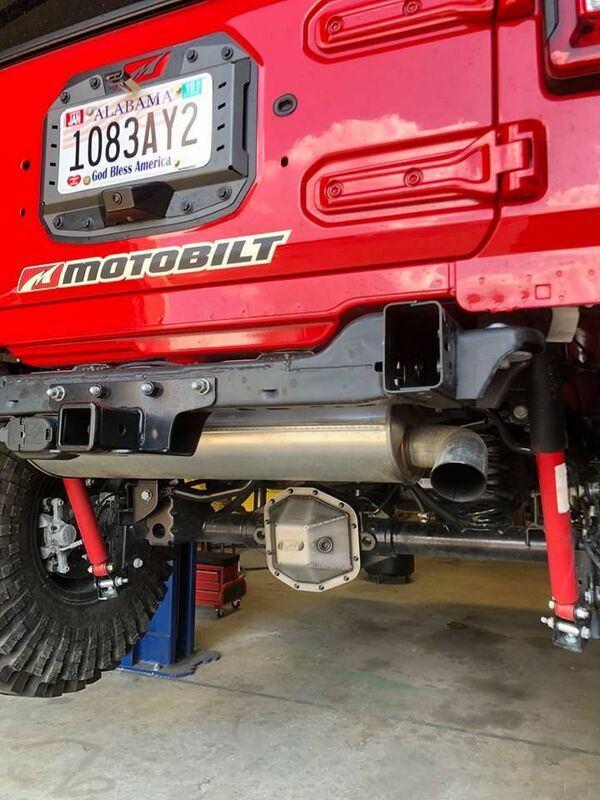 The Motobilt Jeep JL Rubicon rear Dana 44 heavy duty steel diff cover has many features that separate it from others. 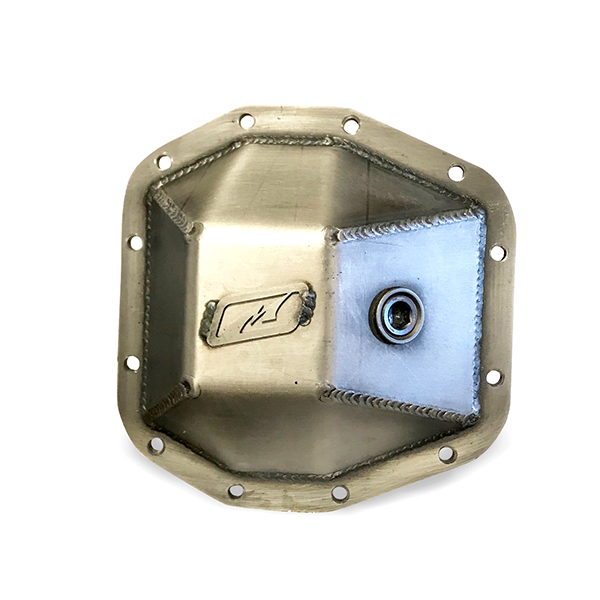 Our diff cover features a 3/8 inch thick steel ring that will keep the cover from pulling away from the housing when dragging over rocks. 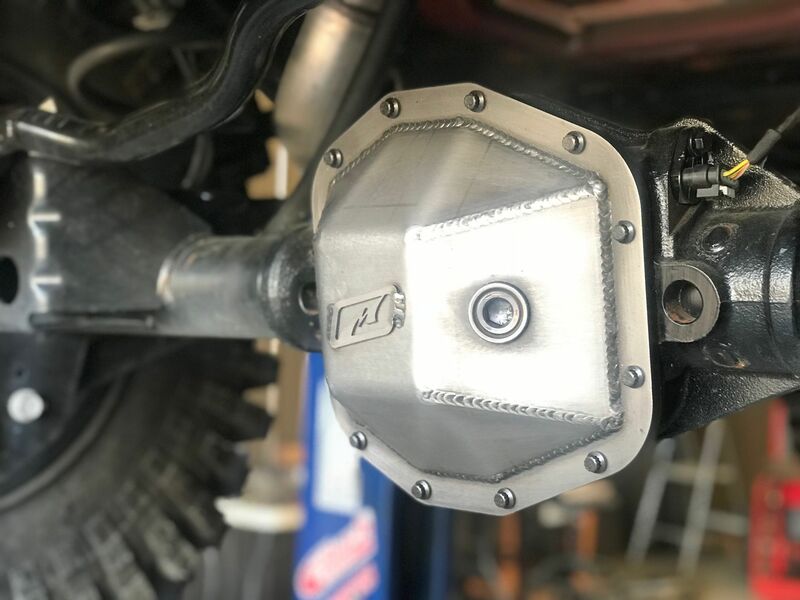 The Jeep JL front Dana 44 HD steel diff cover also features the proven 1/4 inch thick steel plate design with an integrated 3/4 inch NPT fill plug. 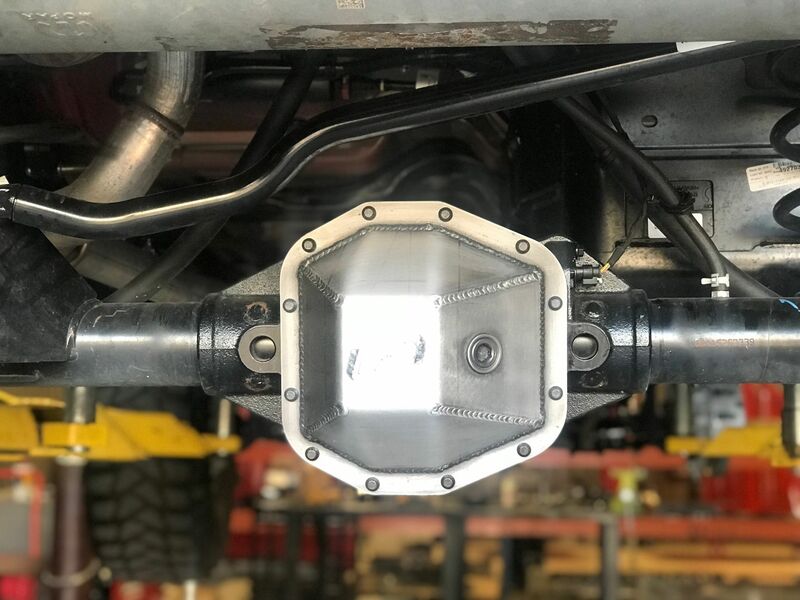 The fill plug on the Jeep JL Rubicon front Dana 44 HD steel diff cover allows for easy access, especially when a truss system is commonly used. 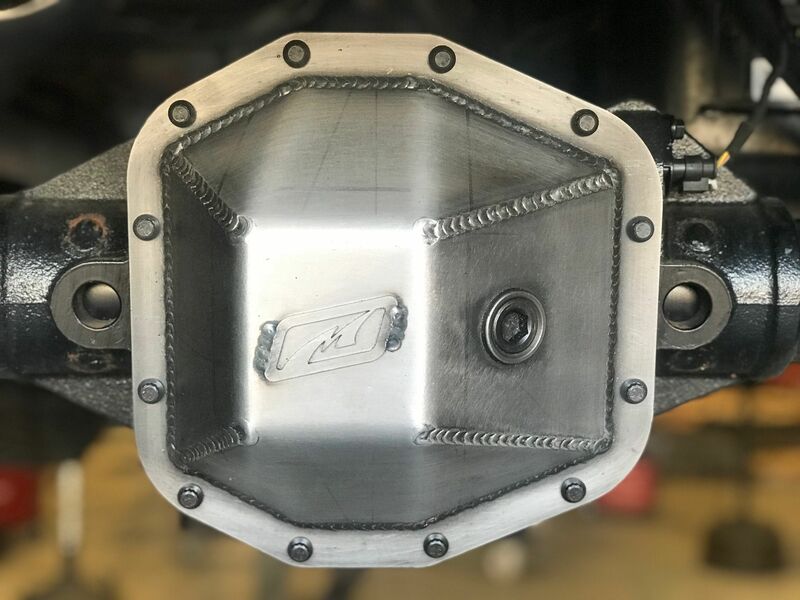 The diff cover is welded both on the inside and outside of the cover to ensure maximum penetration for superior strength. 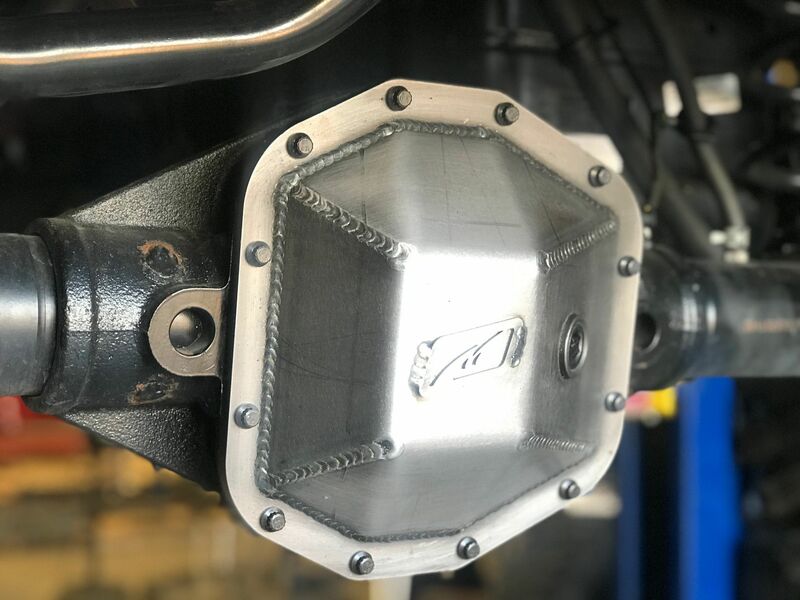 The steel diff cover's design comes from over 14 years of diff cover testing and manufacturing experience. The diff cover ships bare steel and will need to be painted. We do not usually powder coat ours because the diff cover is going to take abuse from rocks. Spray paint works well so you can simply touch it up. The bolts and fill plug ship with the cover. The diff cover has ample clearance for HD aftermarket steering kits also. No worries if your new steering kit will clear our diff cover.